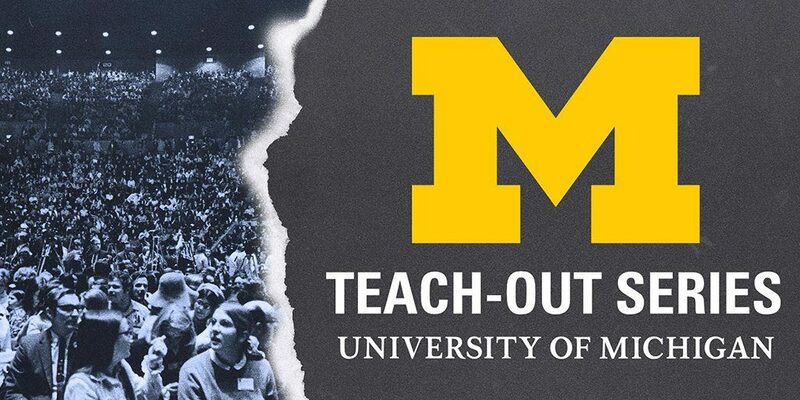 The University of Michigan has an exciting new “teach out” program, where faculty experts are creating mini courses that will available to thousands of people for free, online. It’s modeled after the “teach ins” that began at the university during the 1960s, but with a modern twist. We have the potential to reach a much wider audience with professionally-designed courses. I’m excited to be part of two of these teach outs, one on “fake news,” and the other about dealing with the media. You can sign up for free at edX, which is the platform hosting the teach outs. Sign up today! The teach out starts on April 21st. Hope you can join! Propaganda is the public relation wing of nationalist factions who take over apathetic democracies. This course is an excellent way to understanding how to not be fooled again. Then we all ask “why didn’t we do this before?”). Full marks to everyone involved – and Will Potter, a remarkable young man. Thank you very much, Phil! Hope you’re doing well. Next post: I’ll Be Addressing the European Union about Government Repression in the U.S.